There are three Rowntree trusts, each of which is independent of the others. JRF is an independent funder of research for social change in the UK. Working together with Joseph Rowntree Housing Trust (JRHT), a provider of housing and care, it aims to reduce poverty and strengthen communities for all generations. 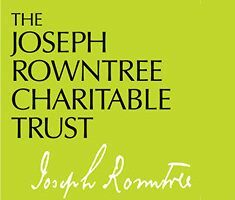 The Joseph Rowntree Reform Trust Ltd is a non-charitable limited company which makes grants for political, campaigning or lobbying purposes that are ineligible for charitable funding. It has a long-standing interest in backing activists defending civil liberties and striving for positive political change and democratic reform.